The Colour Your Way - Fab Bag - Unboxing & Review! Now, in case you argue that mini lipsticks sets are given in other subscription boxes too. In my defence, I’d only like to question you about the brand of that lipstick set. Receiving ADS lipsticks don’t count because they are simply dirt cheap. If you have that special inclination for lipsticks, I know you can completely relate to me. We lipstick addict ladies/young girls just want to experiment with different shades. For me personally, gone are the days when I wanna collect lipsticks from the pink(s) and red(s) family. Presently, I feel like to grab shades like blue, black, ashy grey, browns, violets and what not. I know its TMI but I did purchase the Maybelline Color Sensational lipstick in the shade ‘Gunmetal’. 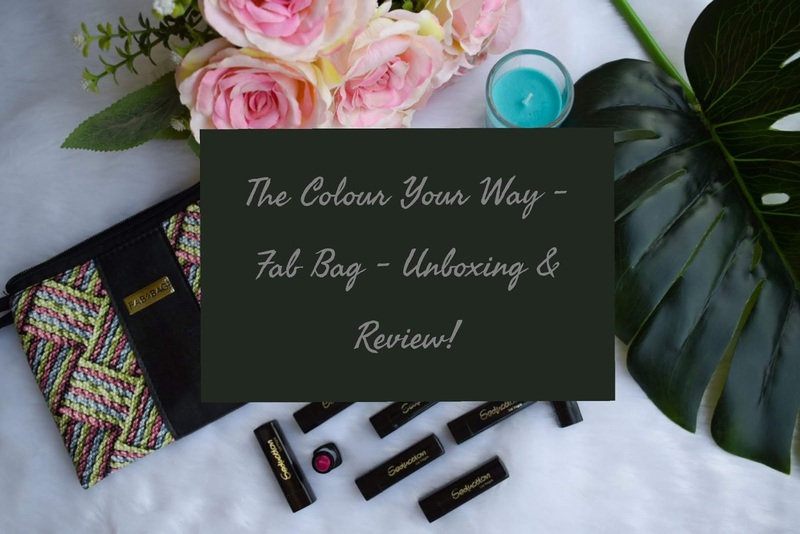 After a long lipstick digression, let’s begin the unboxing of the Colour Your Way Fab Bag. To my surprise, this month, I received no makeup selection email and I was pretty relaxed about it because I did observe that the crew of Fab Bag had commented confirming the same on their Instagram post. This was due to the fact that this month’s bag has a mini lipstick set which will be sent across to every subscriber. And since it was a set of lipsticks, you’d definitely end up with at least one shade which will become your absolute favourite. Moreover, as it’s the start of the festive season, you can gift some shades to your mother, sister, cousin, friend and colleague in order to spread some happiness. The Fab Bag pouch which I received for this month imparts a handicraft-like appearance. It has a print all over which reminds me of those textile items that have checks made using thin ropes. To cater some contrast, the pouch is divided into two halves by a vertical patch of faux leather which has the usual Fab Bag logo. 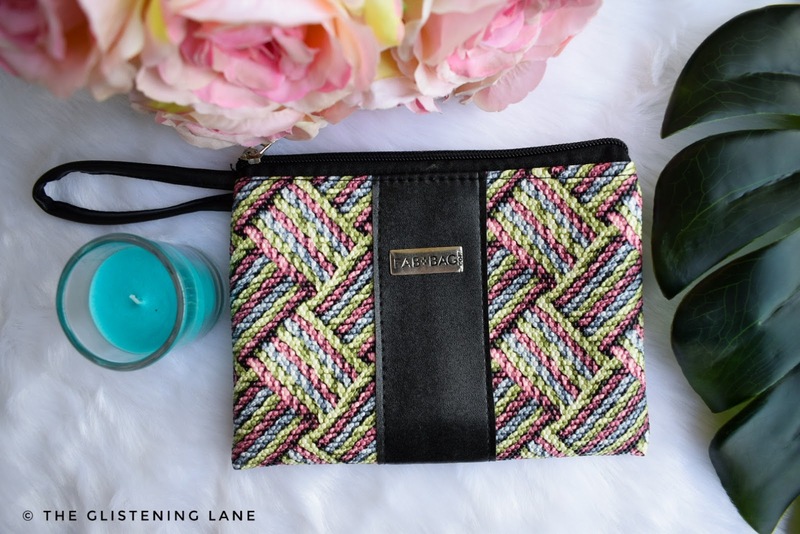 This bag has ample space inside for storing everyday makeup essentials which you will need throughout the day for re-application. Also, the zip closure makes it all the more convenient for carrying along. It serves well for organizing stuff and converting into an emergency kit. 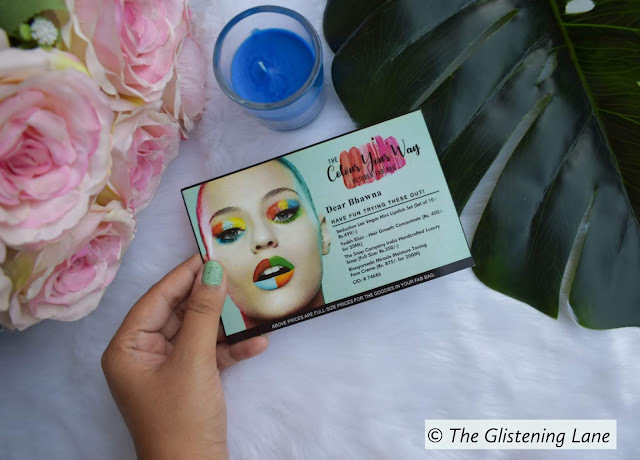 All the Products in the Colour Your Way Edition! For the month of October, there are a total of four products which include three skincare/body care/hair care product and one makeup item. However, the one makeup item itself has 10 mini lipsticks inside, which calls for some celebrations. 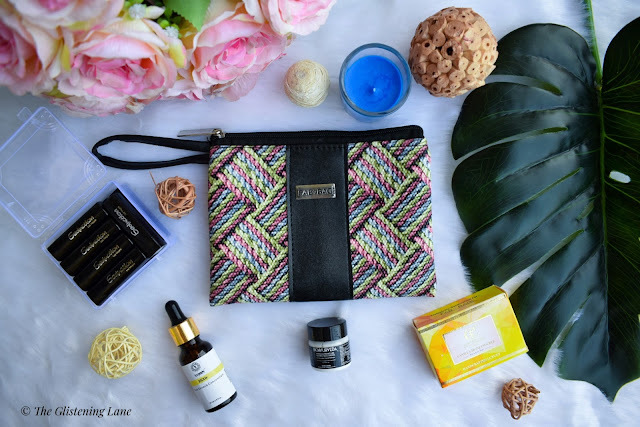 The Colour Your Way Fab Bag Edition is exclusively dedicated to girls/ladies out there who are extremely fond of lipsticks and they want to fill their world with painted pouts. Last month, I received the Sugar’s It’s A Pout Time Vivid Mini Lipstick in the shade ‘Browntown Abbey’. When the sneak peeks were released by the Fab Bag team on Instagram, I was wondering if the mini lipstick set will be from the brand Sugar Cosmetics. 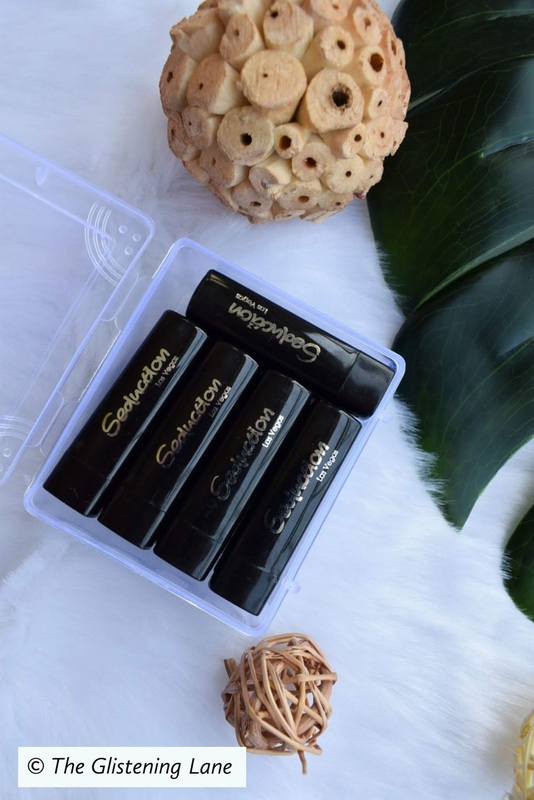 Upon receiving the subscription box for this month, I was delighted on seeing how the mini lipsticks arrived in a small transparent box which had all the ten lipsticks inside. This box can be re-used for storing jewellery as well. 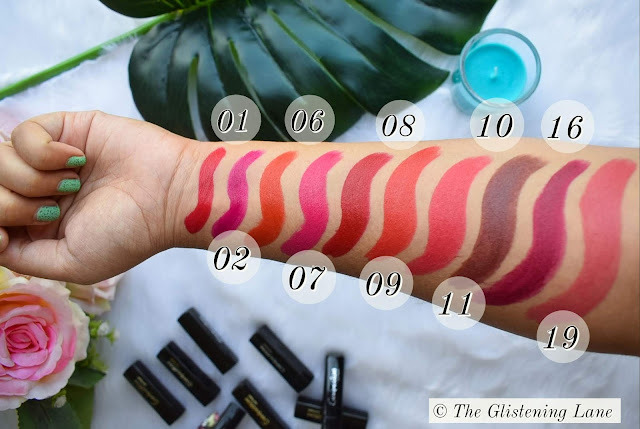 Focusing on the lipsticks, I got the shade numbers - 01, 02, 06, 07, 08, 09, 10, 11, 16 and 19. 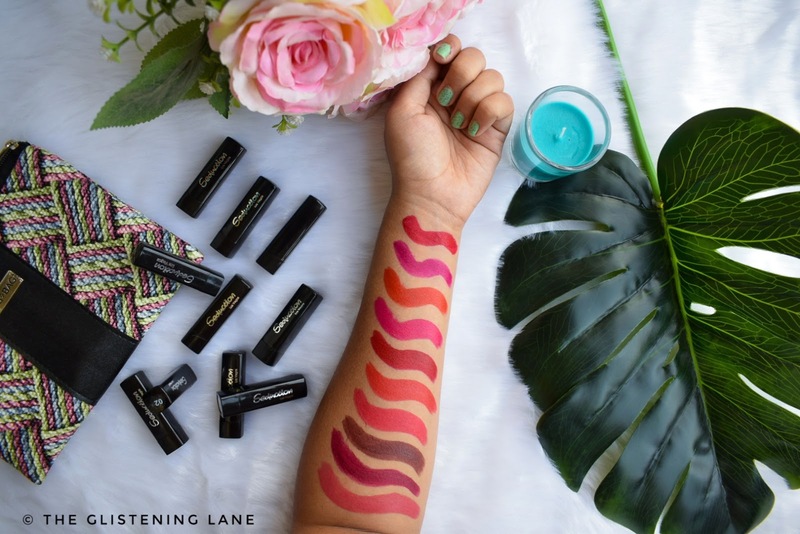 When I swatched these lipsticks, I immediate fell in love with opacity, texture and smoothness of these lipsticks. Moreover, majority of these shades are so beautiful that I don’t think there’s any shade which I’d think of giving away to anyone. Overall, this has to be the star product for this month and it makes it worth splurging on Fab Bag for this month. Recently, I have been witnessing a lot of hair fall, that too for no particular reason. In order to compose my constantly worrying heart, I keep chanting the fact “Oh boy, monsoon woes are taking toll onto my hair”. I literally see every other person complaining about the problem. However, it never helps in controlling my consistently falling hair strands. 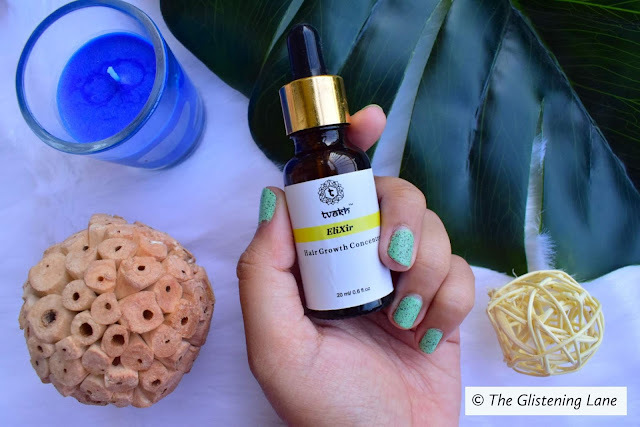 This is why I was immensely happy on seeing the Tvakh Elixir - Hair Growth Concentrate inside the Fab Bag pouch. 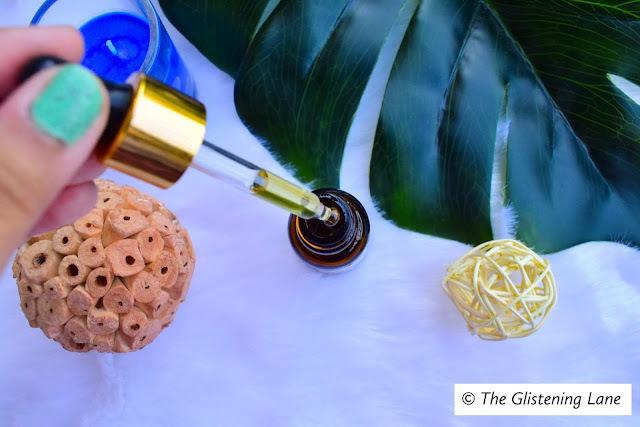 It comes in a glass bottle with the dropper applicator and majority of the product information are printed on the label. The concentrate can either be used on its own or it can be mixed along with carrier oil. It is infused with 16 unique herbs which help in strengthening the hair. I’m really looking forward to using this and seeing something miraculous. To be honest, I don’t really like receiving soaps in subscription boxes as well as PR packages. Soaps never intrigue me much and reviewing them would literally have no aspect to it other than the fragrance part, lather and its performance on the dry skin. So when I saw this product, I wasn’t really impressed until I read the packaging which said “Empowering Women of India”. 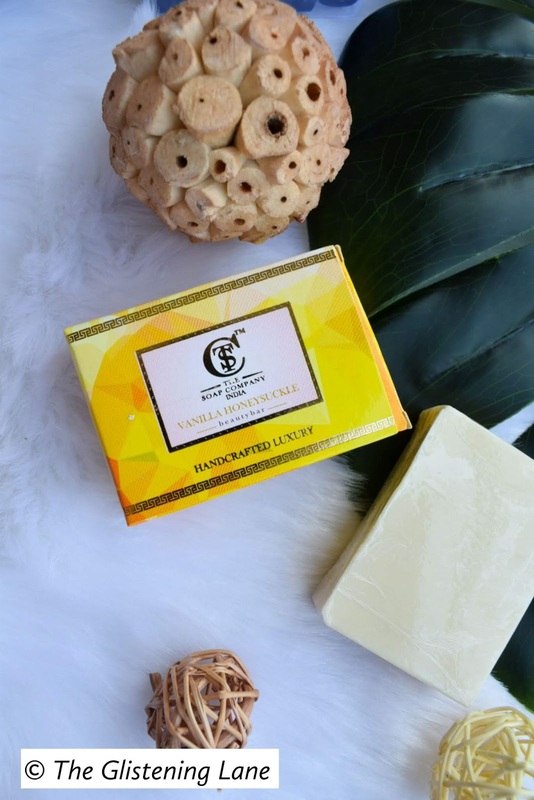 That’s also when I decided to unbox the sunny yellow box of the Soap Company Hand-crafted luxury soap. In appearance, there’s nothing fancy about this bathing bar. Nonetheless, the fragrance of the soap is quite strong and sweet which makes me sniff it continuously. By the way, I received the variant - Vanilla Honeysuckle. Bioayurveda is relatively a new brand for me personally. Looking at the size of the crème jar and the price of the product, I was taken aback for a few moments. Then I realised that this stuff must be a premium product with an ayurvedic composition. 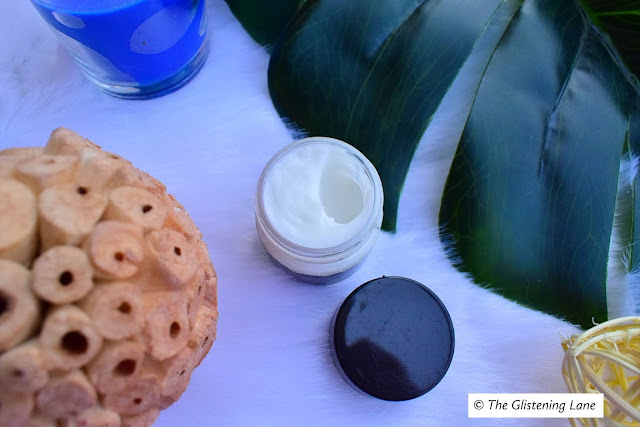 On trying out the crème, I felt that it is not at all runny and feels a bit heavy for oily skin people. Ideally, it should be used at the night time so that the product assists in the regeneration of facial skin cells. It spreads easily and gets absorbed into the skin with the help of slight massage. 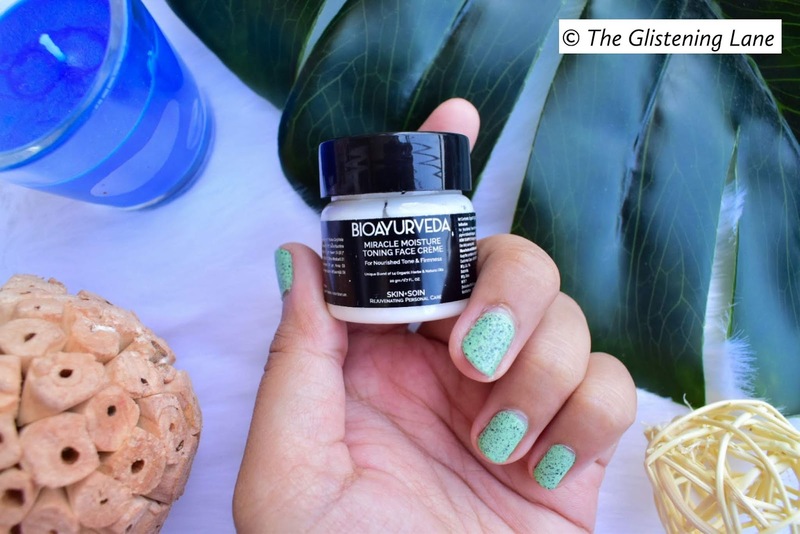 As it offers moisturising and toning effects, it will work well as an anti-ageing cream. Total Savings: Approximately INR 1,525!! And that’s just it for today! Do you feel pumped-up about lipsticks as well? Comment down below. Have a really awesome October guys! *PR package: This subscription box was sent to me by the brand in exchange of an honest opinion. I love to read your Fab Bag unboxing every month. This month is really awesome with 10 lipsticks. I think Fab Bag has done a great job this time. Also the hair growth elixir will be useful to everyone. Tbh, I knew the products already but came here for your unboxing and pictures!! Love how you describe each and everything in detail .